Puppies bite and it is important that you do not stop them completely from doing so. This is because; puppy bites teach them ‘soft mouth’ in adulthood. 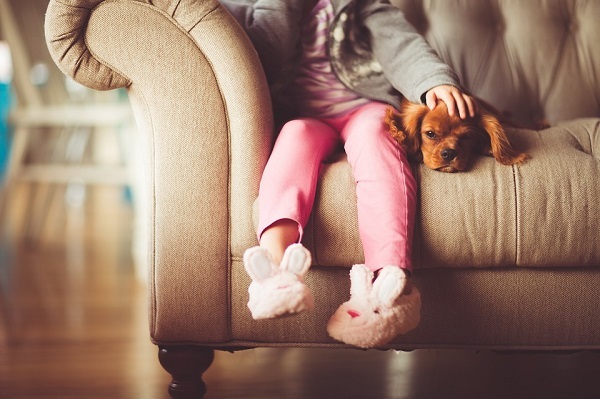 When you teach your puppy bite inhibition form early age on, it understands that its bites are painful and helps them develop play-biting gently as an adult. Bite inhibition also teaches the dog that his jaws can inflict pain and that he needs to prevent serious injuries to those around him. So let us study some easy ways to stop puppy from biting. 90% of puppies learn to stop biting when you yelp. When you squeal or yelp, your puppy understands that his bites cause hurt. A high pitched yelp should do the trick. As soon as he stops, praise or reward him. You must reinforce this ‘game’ every time he bites. There are 10% of puppies who will continue to bite and might even increase the pressure of their bite despite your squealing. If this occurs, you must stop the game and remove all attention you might be giving them. If needed, you must confine the puppy or walk away. Some trainers use other aversive techniques like popping the puppy’s nose, shoving the hand down its throat and so. Only resolve to these if squealing does not do the trick. This step eliminates aggressive puppy biting. Remember that all puppies bite and that they usually do not have any malicious intent behind this action. Puppies are not being mean when they bite. In fact; service dogs often manipulate human limbs with biting, so eliminating pressure from the bite is an important part of early dog training in these cases. You need to do this very gradually. Each time your puppy bites harder than you like, you yelp. Slowly, over the next few ‘bites’ you want softer and softer pressure. Remember not to set a big jump in the criteria for biting as this would only confuse the puppy. It is very important to down the puppy on the inside to stop puppy biting fast. Dog diets affect their behavior greatly, a fact dog owners often overlook. It is very important to avoid foods with corn, wheat, and soy as these could cause food allergies. 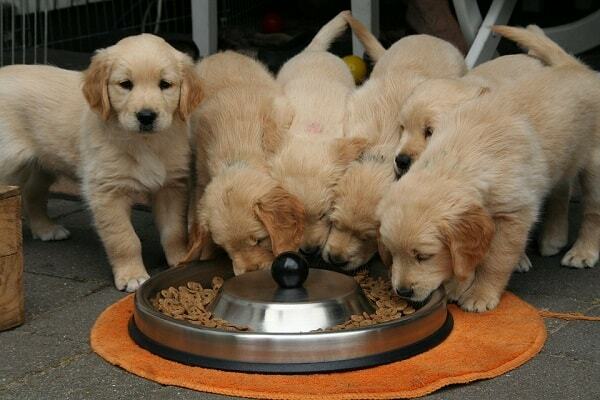 Feed the puppy at least 4-5 times a day to prevent hunger related aggression. Sugar crashes, also called carbohydrate crashes, can also lead to biting or chewing of furniture etc. Make sure the puppy is getting adequate rest. 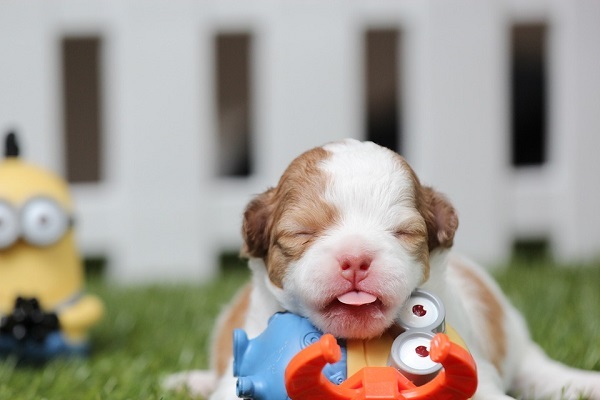 Puppies are similar to human babies; they can get cranky when exhausted. Over active puppies end up biting clothes, human skin and pretty much everything else to alleviate stress. If your puppy is under 4 months, it needs to rest at least 75% of the time. Spend the rest of the time exercising or playing with it so he gets tired and naps adequately. Touch is a stimulant for your pup. He might look upon your touch as a threat, at least in the beginning. So be careful how you handle him. Avoid over-touching or over-arousing it as it will then use its mouth in retaliation. Most young dogs do not like being touched on the head; so try petting them under the chin or just behind the ears to keep them calmer. Teach your kids not to over-stimulate or over-tire the puppy. The question foremost on dog owners’ mind is how long this phase will last. There is no hard and fast rule; most puppies stop biting once they stop teething or once they learn from their owners that this behavior is unacceptable. Some puppies tend to take time and continue to bite until 8 weeks or up to 4 months old. 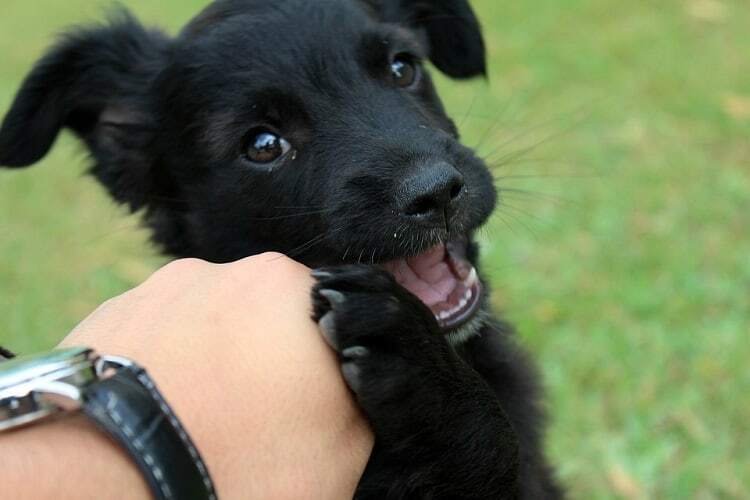 You need to nip aggressive puppy biting with the “NO BITE!” command. If that does not work, you must stop paying attention and if needed, even confine the puppy. Many puppies target one member in the household whom they bite the most. It is best to limit puppy’s contact with said person to prevent puppy’s biting. In the meantime, continue teaching simple commands like Sit, and Come when called etc. This will keep the puppy occupied and he will not have time to put his biting behavior into practice. Puppies will stop teething and biting around the age of 8 months. Until then, you need to give him access to enough toys such as Kong toys filled with treats, old strings soaked in cold water and frozen to play tug of war with, old socks tied in knots etc. You must give these objects before he starts using your bed sheets, clothes or furniture for biting on. Applying taste deterrents to furniture legs can prevent puppy from biting and scratching them. Use some vinegar or bitter apple sprays as these things are yucky to him. Puppies bite when they need attention, food, and drink of water, nap or potty break. Ask yourself when the last time he had these things was. When puppy is in biting mood, stop paying him attention. Never smack or hit him as this will spoil your relation with him. Say a firm No or push him away. It is best to keep plenty of chew toys around before his biting becomes more aggressive. Use these 11 easy tactics to stop aggressive biting in puppies.